First of all, I want to thank everyone who has supported MCS over the years by following me on the forums, buying stuff, and attending classes. 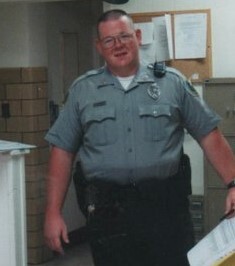 On 02FEB00 I was working patrol after almost losing my wife Lisa, and my son Frank during childbirth in September. In November he had actually died and they brought him back with Atropine and Adrenoline before putting him on the ECMO machine for 6 days before his first heart surgery. That night I had a fatal police involved shooting with five other officers from two departments. A few months later I was transferred to Special Operations and was at the top of my professional game. That fall I was diagnosed with PTSD. A few months passed and my partner, who is now the deputy chief, was promoted to corporal and not long after I was sent back to patrol due to manpower issues. Long story longer, from after the shooting until 2007, I seldom left my bedroom unless it was to go to work or the dojo. In April that year, I left the department and would eventually retire due to PTSD. 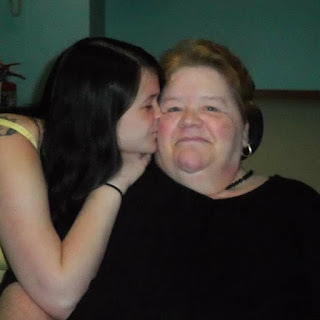 In June of that same year, my Mother who was my best friend in the world wrecked her motorcycle and suffered many injuries including a traumatic brain injury and paralysis below the chest down. Dad kept her home but in June 2015 she was hospitalized due to breathing issues and passed away due to complications. 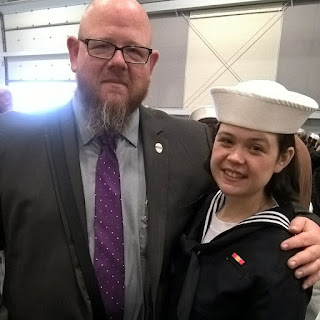 Last year after two years of nursing school, my daughter Elizabeth found it to be too expensive so she enlisted in the Navy. It was about that time where I realized how much my PTSD and depression had caused me to miss out on with my family and life in general. I decided I needed to make some changes to make the most out of my second half. Through the American Legion I became aware of Veteran Service Canines located in York PA. They provide free service dogs and free training to all Veterans and First Responders. 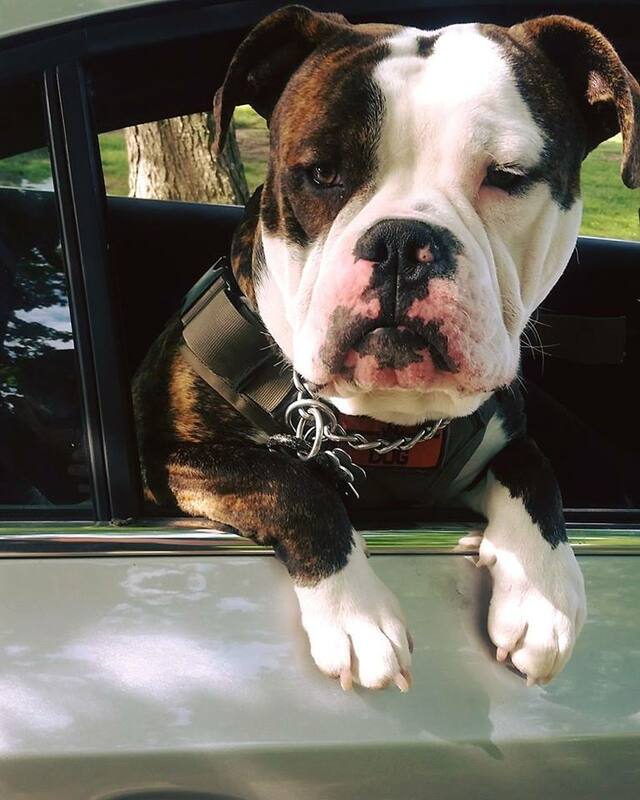 Elizabeth knew her leaving would have a devastating effect on me so she got me my Olde English Bulldogge pup Odin. She bought him the day after he was born. From then until we could pick him up we visited and I fixated on finding everything I could on dog behavior and training. We began training with Veteran Service Canines two days after we got him. Since then he goes absolutely everywhere with me. He has changed my life. Fitness 1440 York PA. This also led me to get back into the gym seriously for the first time since high school. Older, injured, but smarter. With Odin and lifting, my outlook on life started to change drastically. The next step was to rededicate my life to the Lord. We had been attending a local church for several years, but really just did not fit in. I wanted to be out among the people and share what God had done in my life. Soon after we began to attend the Freedom Biker Church in York PA, I knew I had found a home. Before long I was asked to join the core team and be in charge of security. I run the detail during our services and on rides I am always the tail gunner to watch over the flock and deal with emergencies. 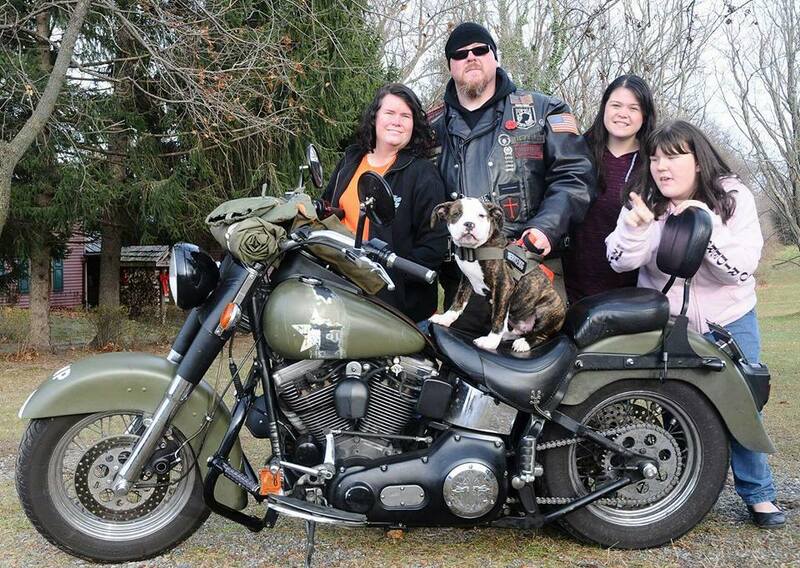 I also accompany the Pastors as we visit very interesting places to minister to the unchurched biker community. Me with Pastor Jim & Pastor Arron heading out on the highway searching for lost souls. Through Veteran Service Canines I met the director of training, Bob Fink a Vietnam Veteran and retired LEO who has become my dog training mentor and is like a second father to me. Early on he saw how good Odin and I were doing as a team and asked me to apprentice under him as a trainer. I of course accepted. Being a dog handler was the one thing I had always wanted to do in the PD but never got the chance. The best way I can describe MCS York was that it was a flop. Over the course of six months I found a handful of dedicated people who got it. The vast majority of others were not interested in learning realistic skill sets, still others thought they were ready for a much higher lever of violence than Richard the Great and I thought they were. This led to me calling it quits as far as having a fixed training site. I had always thought that a fixed training site would not work for what I do. Recognizing that most people have no idea how to train their dogs, and the fact that there are no other dog trainers around, I started along with Bob, MCS Dog Training. 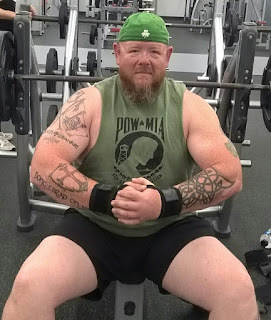 Not only do I have the credentials to prove it, but I also consider myself a master instructor and can train anyone to do anything I can understand. I am blessed with the ability to take the complex and make it simple. Having taught approx 1200-1400 people over the last 10 years of life saving skills, I decided to apply that to dog training. This along with my understanding of dog behavior has made MCS Dog Training a fast success. Bragging about how well your dog behaves at home is like bragging about how well you do on the square range shooting cardboard. The difference is that it can be hard to get paper punchers to subject themselves to reality based training. All dog training is reality based. One of the most common things we deal with is on leash dog aggression. Dogs and people have a lot in common. They insistingly know that the best thing you can do is avoid unstable people, places, and things. The difference is that dogs don't ignore or rationalize their feelings, they act on them. Off leash a dog will avoid an unstable situation. On leash he is connected to his human and his ability to avoid is beyond his control. Under stress the instinct to avoid elevates to flight, again tethered to his human this is difficult. Feeling that they are backed into a corner, they become aggressive to keep the unstable dog away. The human anticipates this and their energy makes it worse. They are not going to fight a dog so they go into the avoidance / flight response. This is amazing to watch as the dog and human lose their composure. This is what happens whether you are handling a dog or carrying a gun when you are not inoculated to reality. You will fixate and not recognize your options. I now have a peace of mind that I have never enjoyed before and want to share it with other humans and dogs. You will not see me arguing over things on forums or Facebook anymore. Anyone who has trained with me knows that I have a reason for the way I do everything and can evidence it. 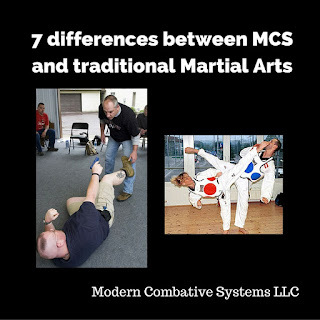 I am getting back to writing and will be doing classes combative skills classes here and there for real people to prepare them for real scenarios. The truth is that I can no longer spend time trying to make sense to keyboard commandos and tactical LARPERS. Life is all about priorities and as for me it is the Lord, my family, Odin, and helping people and dogs. If you are a fan of my approach to all things related to personal protection and preparedness, I apply many of the same principles to dog. 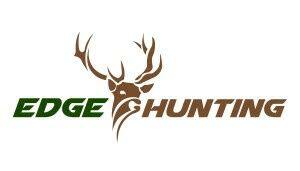 If you are into that like my new page. George, it's good to hear you are fighting and conquering your issues. You do definitely have the gift of teaching. 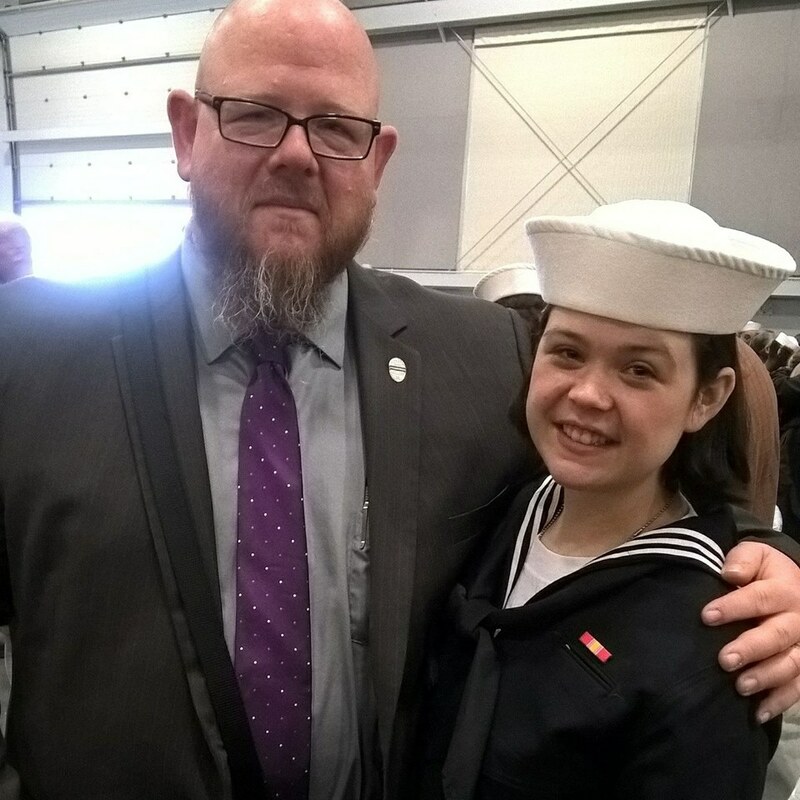 It's hard to believe your daughter is already old enough to be off into the Navy, I'm sure she will do well there as she seems to have the same drive as you to take things on. I live in SC now so you won't be seeing me for any classes but I wish you the best, I have learned a lot from the 3 or 4 classes I attended at MCS. Your instruction teaches people how to use what they may or may not already know in the real world. God bless. Hey George. Life is certainly taking us on some interesting trips. Glad yours is going well. MCS Dog Training has been a landmark in your life and has allowed you to overcome all your tense and problematic life. Good to hear that you've found a reason good enough to live. Keep up with the good work Sir!